The urban areas of Ghana are inhabited by thirty-three percent of Ghanaians today. The number is continuing to grow due to both long-term and short-term migration, which, apart from increasing the size of urban populations, results in its growing diversity, since the majority of migrants are constituted by people from outside Ghana. These include Lebanese, Nigerians, and Chinese, the last being engaged in the service industry and retail trade. Among new dwellers of Ghana there are also plenty of Americans and Europeans involved in foreign diplomatic missions, non-government organizations and business ventures (Salm 2002:12-13). The major urban centers include Accra, Kumasi, Tamale, Tema, Sekondi-Takoradi and Cape Coast. The first city mentioned, Accra, has remained the capital of Ghana since the British moved the capital from Cape Coast in 1877. 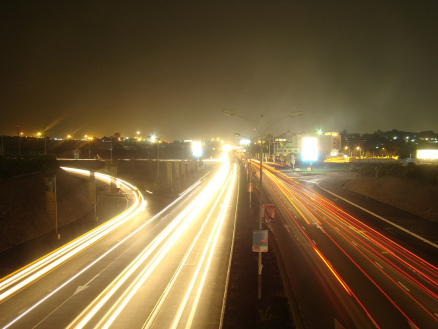 Apart from being the most eminent borough of the country, Accra remains the capital of the Greater Accra Region, and continuously developing city with a population of over 2 million. The second largest city is the capital of the Ashanti Region, Kumasi with its population estimated to be more than 1 million. Kumasi was the capital of the former Asante Empire and continues to be both the royal chief city of Asante and home of the Asante king (the asantenehene). Tamale constitutes the capital of the Northern Region; Tema remains famous for its modern deep-water harbour, and is recognized as the sister-city of Accra. Another urban area mentioned, Sekondi-Takoradi, grew from two adjoining cities: Takoradi with the country’s first major deep-water harbor, and Secondi being the capital of the Western Region. The last but not least, Cape Coast constitutes present chief city of the Central Region (Coquery 1992:9). Concentrated mainly in the southern part of Ghana communications and transportation networks owe their emergence to the colonizers who introduced them in the country. Their choice of coastal and central regions was determined by a number of factors such as severe climate, lack of navigable rivers and thick forests of northern regions of the country (Kapuściński 2008:28). However, in early post-independence years also the northern areas became connected with central Ghana through a major road system. Still, there are areas in the country remaining relatively isolated (ibid 1992:9-11). In terms of numbers of navigable kilometers, Ghana contains about 32,250 kilometers of roads; out of this number 12,000 kilometers are main roads. Roughly 6,000 kilometers are paved; the rest is crushed stone, gravel or graded earth. As for the rail network it has 953 kilometers, all tracks being 1.067 meter narrow gauge and 32 kilometers of single track connecting Sekondi-Takoradi with Kumasi and Accra. Branch lines run to Prestea, Awaso, Kade, Tema and Shai Hills. Fortunately, the government with its new president, Mr Mills, intends to extend both the railway and roads system beyond its limited coverage of the southwestern regions of the country being financed by local loans. According to the Ghanaian government authorities, this can be done by selling government bonds and introducing road toll on all major motorways and trunk roads, which would make the system self financing. Moreover, road calming systems and better lightening are to be introduced (internet source 10). There are eleven airfields in Ghana, including Katoka International Airport situated 11 kilometers from the capital and major domestic airports at Sekondi-Takoradi, Kumasi and Tamale. Ghana Airways operates a small fleet on both domestic and international routes. Ghana owns two deep artificial harbours, a deep-water, modern harbour at Takoradi with 1.6 million ton capacity, and built in the early 1960s a harbour at Tema, the sister city of Accra, with 2.7 million ton capacity. Apart from the harbours there is over 1000 kilometer navigable network on Lake Volta, with additional ports to be launched. Other rivers including Tano River, Ankobra River and Volta River are also navigable (internet source 10).